Want to be notified of new releases in abinavseelan/jaldi-cli? Install the cli tool globally. This will clone the default starter project to the specified path. 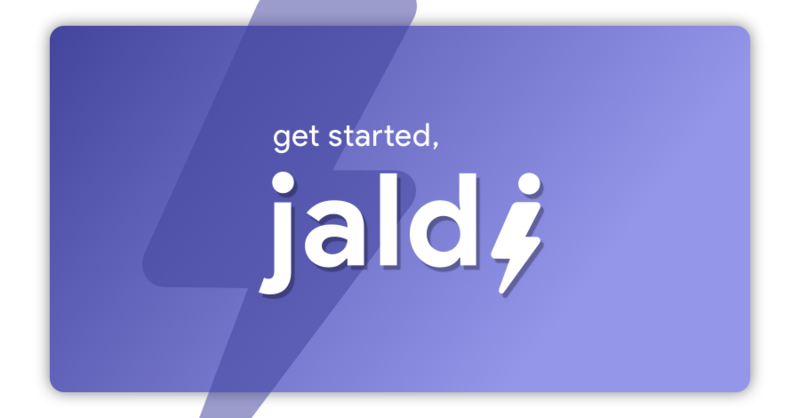 jaldi (which is Hindi for quickly ⚡️) aims to remove the hassle of bootstrapping new projects, without being opinionated in project approach or abstracting away control from the developer. jaldi creates the boilerplate that every developer needs to set up in the first 15 minutes of starting a project and then gets out of your way ... completely.